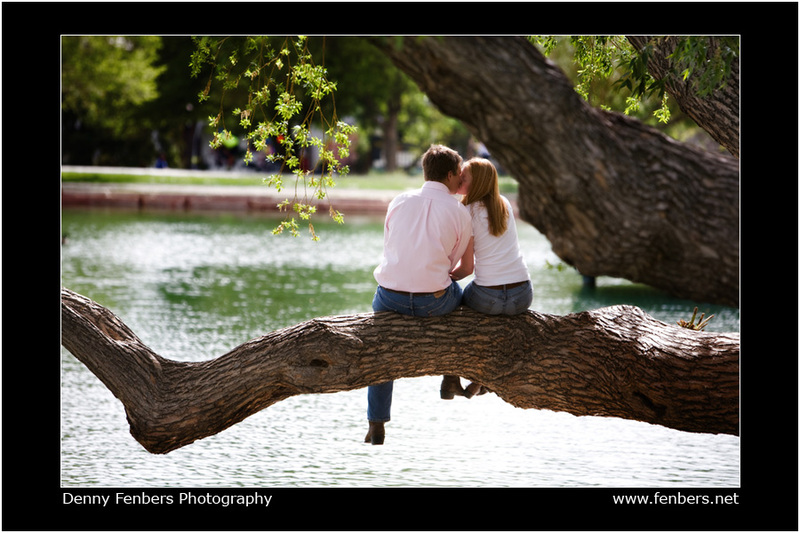 I had a fun time with Kourtney and Justin, taking their engagement photos on Pearl Street and nearby Washington Park in Denver. A couple things stood out to me as I went through their photos: they both have great smiles and the both look incredibly happy all the time. 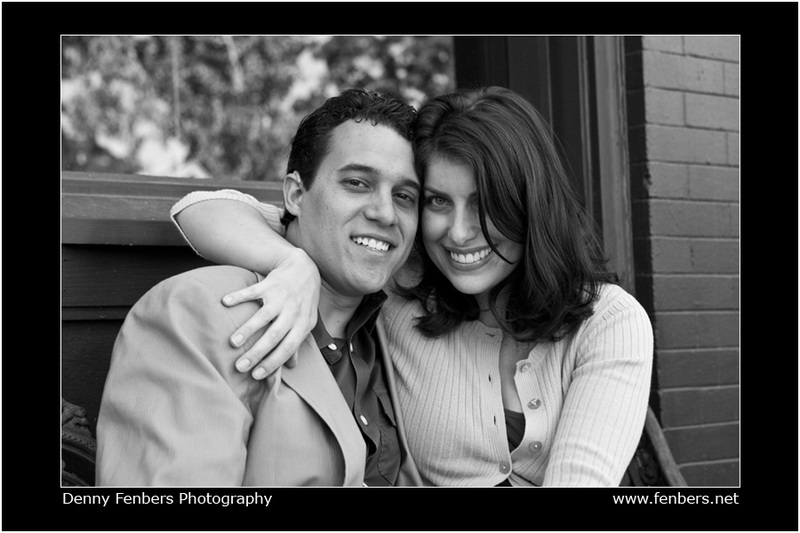 Kari and Kevin are getting married in Colorado Springs next month. So… we decided on Garden of the Gods (GOG) for their engagement photos. 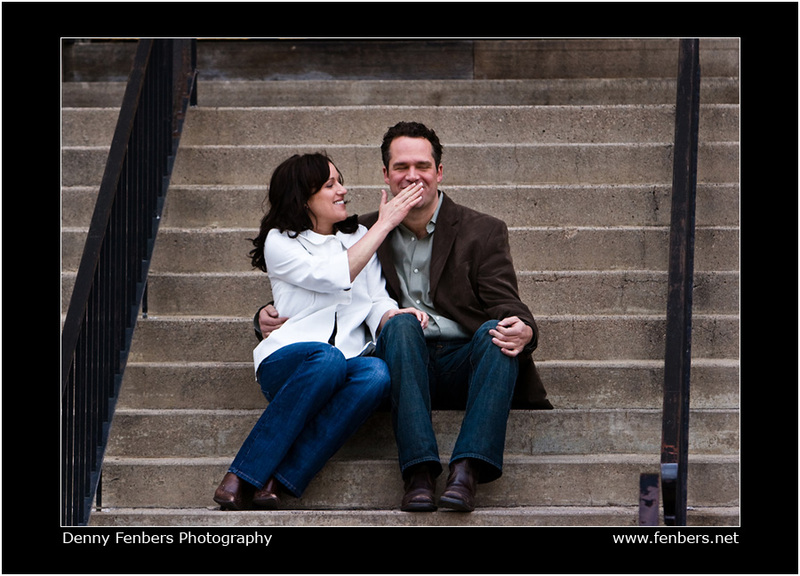 Thanks Kari and Kevin; it was a fun session. 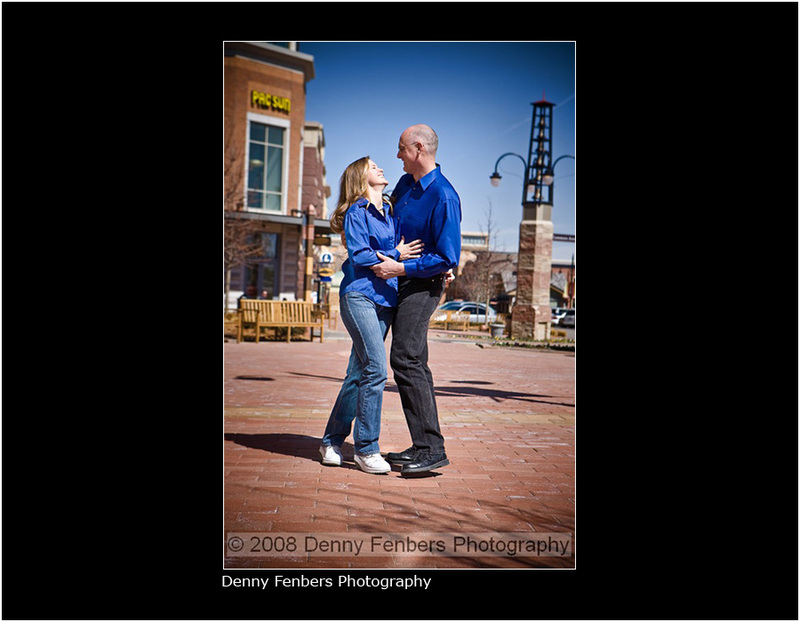 I recently returned from Las Vegas where I attended the 2007 WPPI conference (that’s short for Wedding & Portrait Photographers International). This is an annual conference attended by thousands of photographers each year. What happens when you put lots of photographers together? Well, you get lots of pictures, of course! 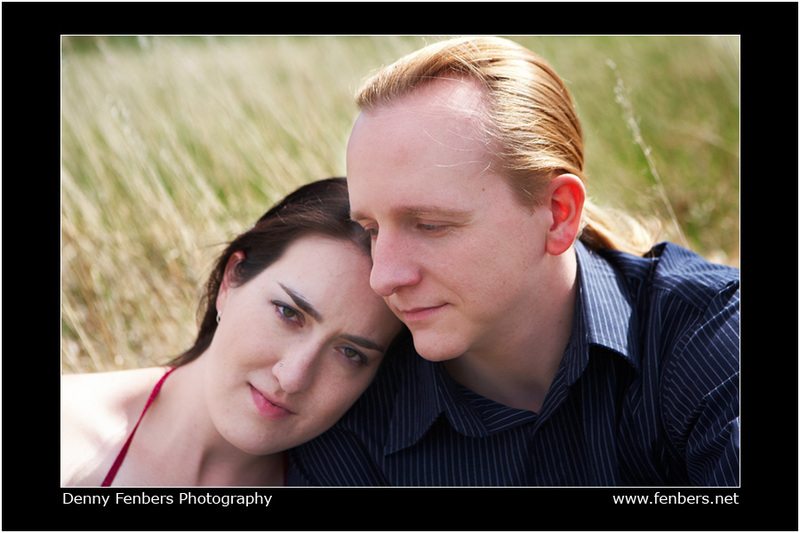 There were the usual Las Vegas sights to be seen, but we also went around getting some engagement-style photos of a model by the name of Cecilia and her future husband, Patrick. Thanks guys, it was a blast! When I say “we” I don’t mean thousands of us – this was just a small group doing our own thing. We headed up to the lake house in Evergreen for Liana and Brady’s engagement photos. Were had been discussing options on where to do the photos and I suggested this location based on the type of photos Liana and Brady wanted. What a surprise to learn that this was in fact where Brady proposed to Liana. I hope it makes these photos that much more special. Here’s one of my favorite silhouettes. 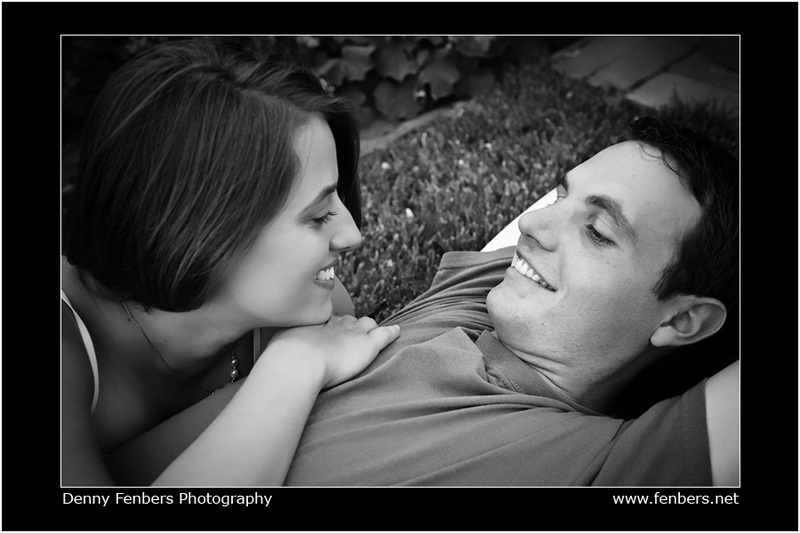 I love the cloudy sky and the perfect separation outlining Liana and Brady, giving it just the right mood and detail.